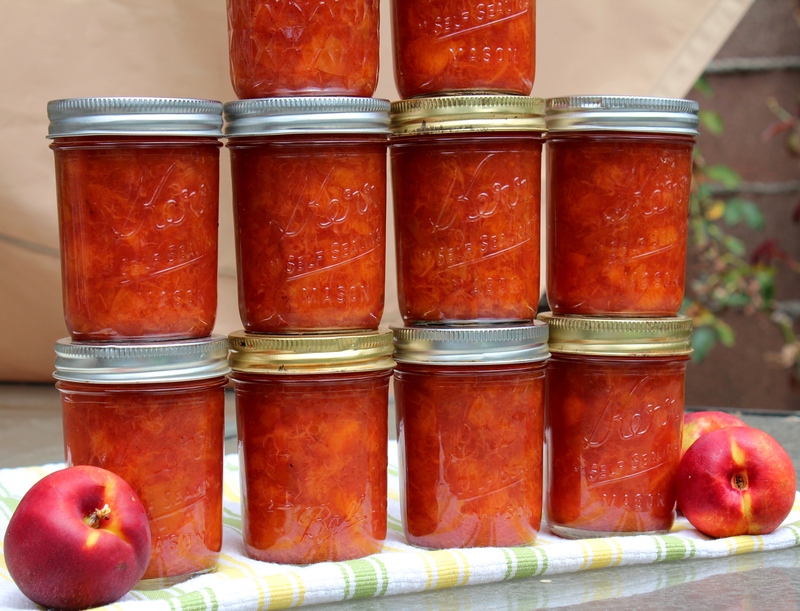 I managed to foil the neighborhood scavengers, thwart (somewhat) a very determined and gluttonous squirrel and even impeded an onslaught of Japanese beetles to safeguard the makings for a double-batch of my vanilla-scented nectarine preserves made from home harvested fruit. Victory (and its spoils) are mine! In a shallow dish on my kitchen counter sat two handfuls of kumquats, compliments of my CSA. What does one do with two handfuls of kumquats? 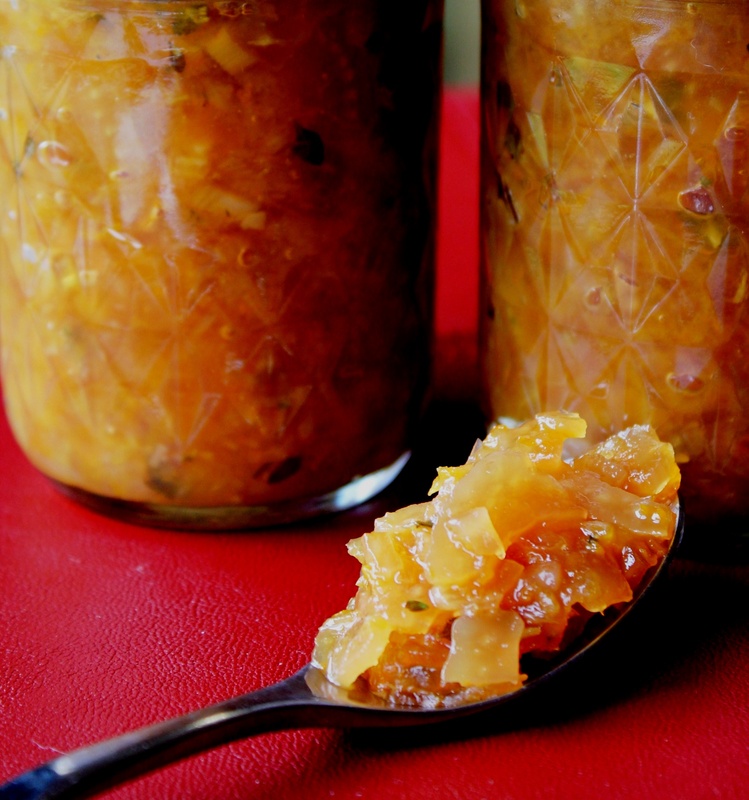 Not that I don’t know what to do with kumquats, I made a delicious Moroccan kumquat marmalade with last year’s bounty, but that required two copious pounds, not a measly few handfuls. The tedious process of slicing and seeding kumquats that’s required for a proper marmalade isn’t worth the trouble for the small, single, half-pint jar. I stood staring at those kumquats for a few days…Moroccan marmalade or what? Somehow the thoughts of Moroccan cooking (memories of my culinary school final project) lead me to one of my favorite condiments – preserved lemons. I adore salty, sour, bitter, spicy preserved lemons added to gelato or braised chicken or a myriad of other dishes. I’ve been waiting months for my lemon tree to ripen allowing me to produce another batch – and then it came to me (shebang!) – preserved kumquats, of course! Rinse two handfuls of kumquats. Score rind about 1/4 inch deep. In a saucepan, combine kumquats, about 2.5 c. water and 3T. kosher salt. Bring to boil and simmer for 10-12 minutes until rind becomes slightly transparent. 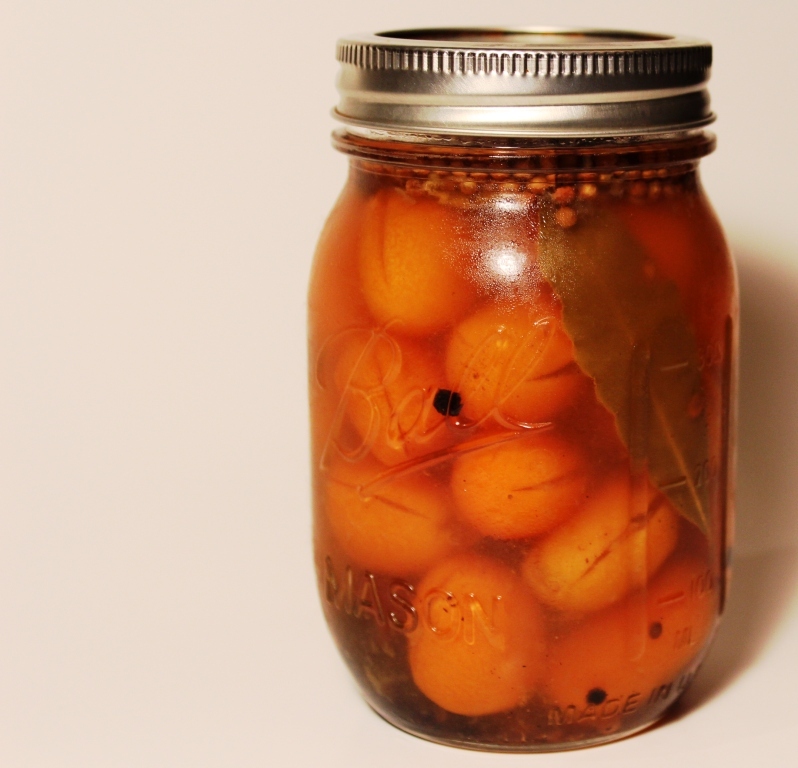 With slotted spoon, transfer kumquats to canning jar. Add 4 cloves, 1 bay leaf, 1 cinnamon stick, 2 t. coriander seeds and 2 t. black peppercorns. Press kumquats down slightly to release juice. Add reserved salted water to cover kumquats and fill jar. Seal. They’ll be ready by Sunday, when I’ll be testing them in “Moroccan chicken with preserved kumquats and black olives”. Stay tuned. 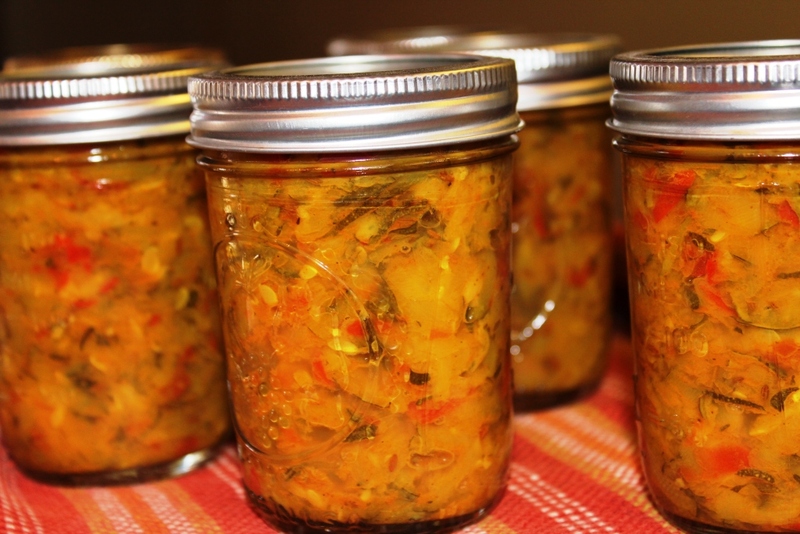 My second offering for the swap – zucchini relish. the zucchini is from the CSA and the recipe is from Sunset Magazine. This is a new recipe for me. Taste testing from the pan, I added a finely chopped Serrano chile, extra vinegar and extra salt. My fingers are crossed that the final product is edible: testing recipes – in my kitchen, in my life and on complete strangers. Nectarine (from my garden) Vanilla Bean preserves. 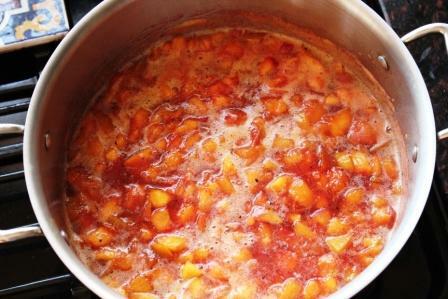 I swear, if there is a heaven, it smells like Nectarine Vanilla Bean preserves cooking on the stove. My original recipe can be found here.